The present work is aimed to analyze the performance and emission characteristics of mahua biodiesel-fueled diesel engine with copper oxide nanoparticle at various particle sizes (10 and 20 nm) and the results compared with conventional diesel fuel (BD). Experiments were conducted in a four-stroke, single-cylinder, constant speed, and naturally aspirated research diesel engine with an eddy current dynamometer. Conventional transesterification process is carried out to convert the raw mahua oil into mahua oil biodiesel (BD100). Copper oxide (CuO) was chosen as a nanoparticle; the mass fraction of 100 ppm and the particle sizes of 10 and 20 nm were blended with mahua oil methyl ester using an ultrasonicator, and the physicochemical properties were measured. The physicochemical properties of BD100 and nanoparticle-included BD100 are at par with EN14214 limits. Brake-specific fuel consumption (BSFC) of BD100 is higher than that of diesel, and brake thermal efficiency (BTE) is lower than that of diesel (D100). The inclusion of 10-nm particle size of CuO nanoparticle in BD100 improves the BSFC and BTE by 1.3 and 0.7%, respectively, when compared with BD100. The CuO nanoparticle inclusion at 20-nm nanoparticle in biodiesel further improves the performance parameters than those at 10-nm nanoparticle. Further, the BD100 promotes a lower level of smoke emissions, carbon monoxide (CO), and hydrocarbon (HC) and with a prominent increase in oxides of nitrogen (NOx) emissions. The inclusion of 10-nm particle size of CuO nanoparticle in BD100 reduces the NOx, HC, CO, and smoke emission by 3.9, 5.6, 4.9, and 2.8%, respectively, at peak load condition when compared with BD100. 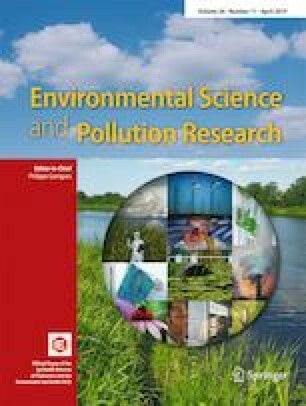 The addition of CuO nanoparticle at 20-nm nanoparticle in biodiesel further reduces the NOx, HC, CO, and smoke emissions.